CLIFFORD  SMITH GALLERY is pleased to announce its November exhibition titled Head & Shoulders, featuring Jenny Dubnau's new paintings. In the project room, we present video by Diana Shpungin and Nicole Engelmann, and sculpture by Richard Stipl. 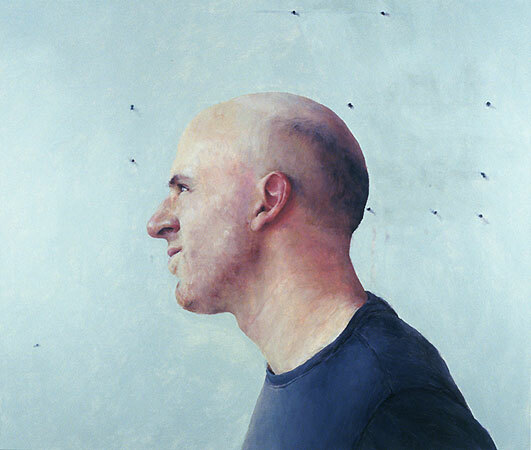 While all three bodies of work focus on the figure (specifically the head and shoulders), each has a unique approach to the portrait. Jenny Dubnau's oil paintings nearly sculpt the flesh of her subjects. Her loose, broad brush strokes examine the planar surfaces of the figureÕs face with all the blemishes and bumps of real life presented with relish. 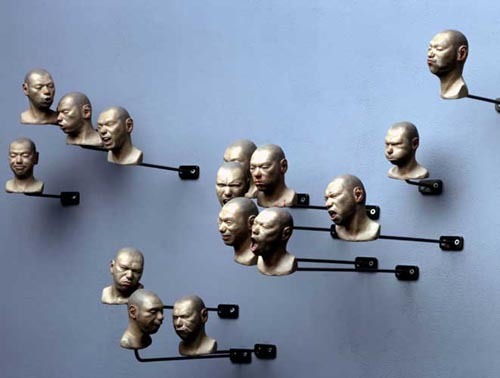 The facial expressions range from bland to bored, either staring at the viewer or simply presented in profile. By focusing on the banality of the moment the artist acquiesces the individuality of her subject to the universality of the human experience. In the project room, Richard Stipl's small wax self-portraits grimace, groan, grunt and smirk: illustrating the pleasure/pain of human existence as inextricably linked. Also in the project room, Diana Shpungin and Nicole Engelmann's collaborative video, Smack, strips the figure of identity by presenting themselves clothed in identical gray turtlenecks, the only obvious distinction hair color. In this piece, as in other work, they walk a fine line between playfulness and violence; ambiguous gender roles and sexuality; humor and fear; subtly playing on the assumptions of the viewer.